awatara -a world beyond our dreams-. 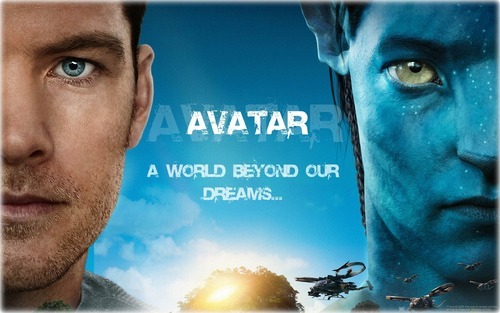 its a world beyond our dreams.... HD Wallpaper and background images in the awatara club tagged: avatar 2009 sam worthington jake sully movie. This awatara wallpaper might contain sign, poster, teksto, pisara, portrait, headshot, and closeup.